This book accounts for the tumultuous period of the fifth to eleventh centuries from the Fall of Rome and the collapse of the Western Roman Empire through the breakup of the Eastern Roman Empire and loss of pan-Mediterranean rule, until the Turks arrived and seized Anatolia. The volume is divided into a dozen syntheses that each addresses an issue of intrigue for the archaeology of Anatolia, and two dozen case studies on single sites that exemplify its richness. Anatolia was the only major part of the Roman Empire that did not fall in late antiquity; it remained steadfast under Roman rule through the eleventh century. Its personal history stands to elucidate both the emphatic impact of Roman administration in the wake of pan-Mediterranean collapse. Thanks to Byzantine archaeology, we now know that urban decline did not set in before the fifth century, after Anatolia had already be thoroughly Christianized in the course of the fourth century; we know now that urban decline, as it occurred from the fifth century onwards, was paired with rural prosperity, and an increase in the number, size, and quality of rural settlements and in rural population; that this ruralization was halted during the seventh to ninth centuries, when Anatolia was invaded first by the Persians, and then by the Arabs—and the population appears to have sought shelter behind new urban fortifications and in large cathedrals. Further, it elucidates that once the Arab threat had ended in the ninth century, this ruralization set in once more, and most cities seem to have been abandoned or reduced to villages during the ensuing time of seeming tranquility, whilst the countryside experienced renewed prosperity; that this trend was reversed yet again, when the Seljuk Turks appeared on the scene in the eleventh century, devastated the countryside and led to a revival and refortification of the former cities. 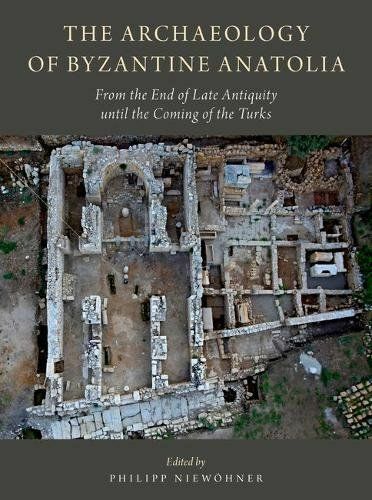 This dynamic historical thread, traced across its extremes through the lens of Byzantine archaeology, speaks not only to the torrid narrative of Byzantine Anatolia, but to the enigmatic medievalization.